I have been cooking for years now and I have proven that some things in the kitchen are better when they are aged. There’s nonna and her cooking, there’s wine, there’s cheese, and there’s vinegar. But this aged vinegar is not just your ordinary vinegar and it’s actually more like a wine than vinegar–it’s the sweet, tangy, glimmering black liquid of balsamic vinegar. What is balsamic vinegar made of/from: From Trebbiano white grapes must (whole pressed grapes together with juice, skin, seeds and stems), balsamic vinegar is a prized Italian possession that has a royalty background since 1000 AD. Health benefits of balsamic vinegar: You know why it’s a prized possession? Because making this delicate condiment is painstakingly laborious yet equally heavenly satisfying when tasted. With countless of recipes you can do with balsamic vinegar, it’s no wonder you can run out of it. You may also think twice of buying one because of its “royal” price range when there are commercial-grade ones, which do not match the level of delicacy. path of flavor or color substitutions. This is also one of the reasons why we have substitutes for balsamic vinegar–the authentic is just super expensive and the taste is way incomparable with the ones at your local grocery store. So, our list includes balsamic vinegar variants and some recipes you may have to whip it up yourself. These recipes do not involve any barrel and will not harm your Cinderella tippy toes, so don’t worry and let’s begin. For me, the easiest and the fastest substitute for balsamic vinegar is 1 tablespoon of apple cider mixed with 1/2 teaspoon of brown sugar. This equation can replace 1 tablespoon of balsamic vinegar. You have the tanginess of apple and the molassey-sweetness of sugar that almost replicates the sweetly sour balsamic vinegar. You may also opt to use fruity vinegars in place of the apple cider. Make sure you mix them well to dilute all that sugar crystals and have a perfect dressing for your salad. Considered the best substitute for balsamic vinegar is red wine vinegar. For 1 tablespoon of balsamic vinegar, you need one 1 tablespoon of red wine vinegar and 1/2 teaspoon of white or brown sugar. Brown sugar has that oaky taste of the balsamic vinegar’s barrel but you can also replace the brown or white sugar with honey (using the same measurement for the sweeteners) for your fish recipe. Why not give sherry wine vinegar a try and to replace red wine vinegar in this recipe? It will surely give a different flavor profile to your dish. You might think red wine vinegar is exactly what balsamic vinegar is, right? Well, you’re absolutely mistaken. From origin to production process, down to its color and taste, there are lot more differences than similarities with red wine vinegar and balsamic vinegar. You have probably used this white acidic liquid in your cooking as often as the seasons change or you have probably used it for life hacks instead, am I correct? Well, I don’t blame you because even Reader’s Digest has 150 uses of vinegar and even cooking is not one of them. So in a small pot, you’re going to use 5 cups of any vinegar mixed with 1 cup of sugar that you will cook in low heat until all the sugar is dissolved. To match the color of black beauty of balsamic vinegar, you may use brown rice vinegar or Chinese black vinegar. Both brown and Chinese black vinegar came from rice and is meticulously prepared like their cousin. You can also make your own homemade brown rice vinegar. Let it cool first before using with your roasted vegetable lasagne or just drizzle to your brunch meal. The only difference of the balsamic vinegar to its vinaigrette counterpart is olive oil. Basically, it’s 3-to-1 ratio—3 parts oil and 1 part vinegar. If you watch this, balsamic vinaigrette is so easy to make and is best to replace balsamic vinegar as a salad dressing. If balsamic vinegar may have an oaky flair to it, malt vinegar has some barley beer-y goodness to it. Malt vinegar is an excellent substitute for balsamic vinegar if you’re going for a more intense taste than a mellow one. Just tone the malt vinegar down with some sugar (according to your taste) to achieve the balance in balsamic. Make sure to complete dissolve the granules before using. It’s an incredible gastrique to try with your balsamic vinegar recipes. This recipe is not only easy to make but easy to remember, too! You just need equal parts of lemon juice, syrup and soy sauce. For 2 tablespoons of balsamic vinegar, you just need 1 tablespoon of lemon juice, 1 tablespoon of molasses, and 1 tablespoon soy sauce. If you don’t have or can’t find molasses, brown sugar syrup or brown rice syrup is good to go. No need for heating so just mix everything in a bowl and whisk with a fork. Adjust accordingly to taste: too sweet—add more lemon juice, too sour—add more syrup. You can now create a gastronomic balsamic vinegar dessert like no other. In this recipe, you can use any kind of red wine but make sure it’s less than 12 % alcohol content. Wines with higher alcohol percentage than 12 will not metabolize the vinegar bacteria. Dilute the wine with a wine-bottle full of distilled water. 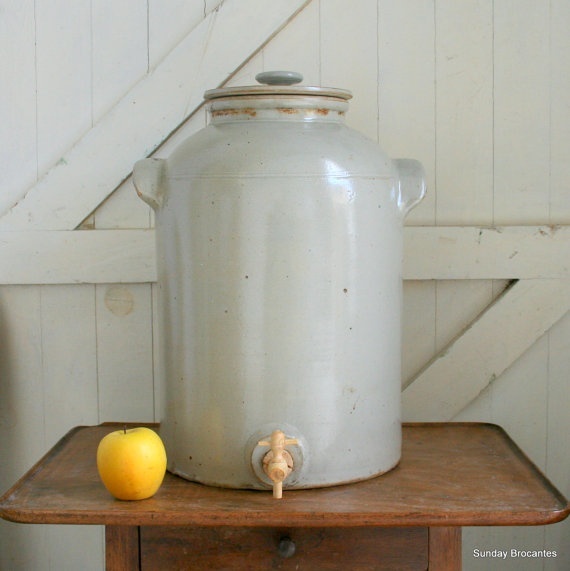 Add the mother of vinegar (gelatinous acidic strain of bacteria in vinegar) to a purpose-made crock with a spigot at the bottom. Cover the wine with three layers of cheesecloth and use rubber bank or kitchen string to secure them to the vinegar crock. Place the vinegar crock in a dark room with 60 to 80 degrees Fahrenheit temperature. The basement, attic and even the closet works. You can set the crock inside a cardboard box in a room with the required temperature range. Leave the crock alone for 3 months and you’ll now it’s ready when you smell it. 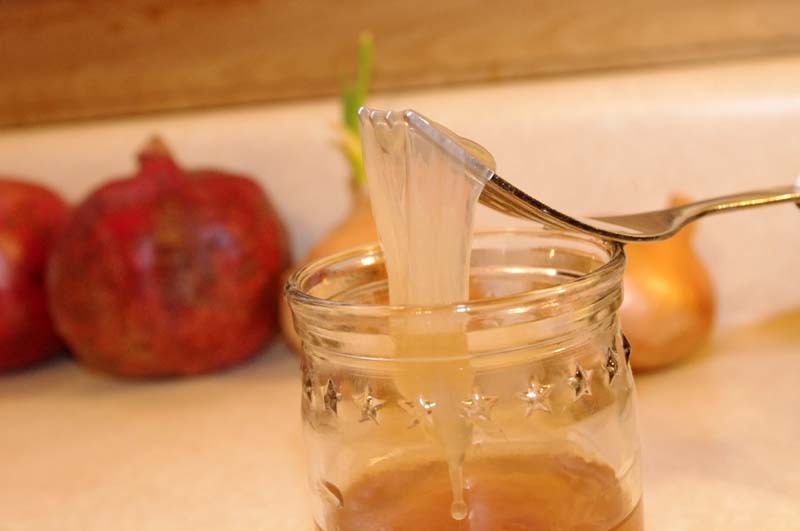 Strain the vinegar through a sieve lined with a few layers of cheesecloth over a new container. Dispose the mother of vinegar. To make sure no more impurities, strain the vinegar once more using a sieve lined with a coffee filter. Put the vinegar in a saucepan and add 2 1/2 cups of sugar. In medium heat, simmer the vinegar mixture and let it reduce by half in quantity. Now, transfer the vinegar to your sanitized 1-gallon glass jar. Using clean and dry cheesecloth, cover the glass jar with three layers of cheesecloth. Return the vinegar in the dark area to age for at least two months. The longer the aging process, the deeper the depth of flavor. It’s never easy to substitute something to as unique as the balsamic vinegar. But in case of running out of the authentic one, these substitutes are a dish savior! Balsamic reduction, in case you went all-out with your balsamic vinegar. Now you have the tricks of the trade, you better watch out on how to properly use balsamic vinegar. I know you have some tricks of your own. Can you share your tips with us in the comments sections below or tell me which substitute for balsamic vinegar did you find most interesting? Most clever? Or most unexpected? Tune in for more exciting substitution technique next time!